Freddie is 5 months old! Freddie is three months old! We fall more and more in love with this amazing little guy every day! He has well and truly stolen our hearts! Freddie is seriously the most smiley happy baby I’ve ever come across. His smile is amazing, I don’t know if we can officially call it a laugh yet but he really does get so excited and it totally does sound like he’s laughing at us!! Here is our little smiler at Halloween this year. Can’t believe Arthur was in that same little skeleton costume 2 years ago, it’s gone by so fast!! We are using cloth nappies in the day time all the time now, he looks so cute in them! Its nice to be using so much less disposables. I’m sure we will switch to cloth at night time soon as well. This last month Freddie has generally been waking up once in the night. We have been so impressed with his sleep. He had his three month check up. He’s putting on weight like a little trooper the nurse was super impressed with his size! Such a amazing feeling to know that my milk is doing him so much good. He had to have his first injection too (well since the one he had at a couple days old in hospital). It was not nice at all, poor little guy really screamed. The good thing was that he didn’t seem to suffer too badly following it. His fever was never really bad, something I remember Arthur had quite badly, but he was quite grumpy. We kept him dosed up and his sleep wasn’t disrupted which was a relief! It also didn’t take long to get our happy little man back! Freddie was a super lucky baby this past month and had his first boat trip! Not a bad first experience on a catamaran sailing on the Indian Ocean!! I’ll be writing more about that soon! Freddie and Arthur get closer each day, check out this months update on their relationship if you missed it! I am so proud of how Freddie is fitting in with our little family it really is like he’s always been here. I’ll be back with another update next month! How I know my son is an island baby! 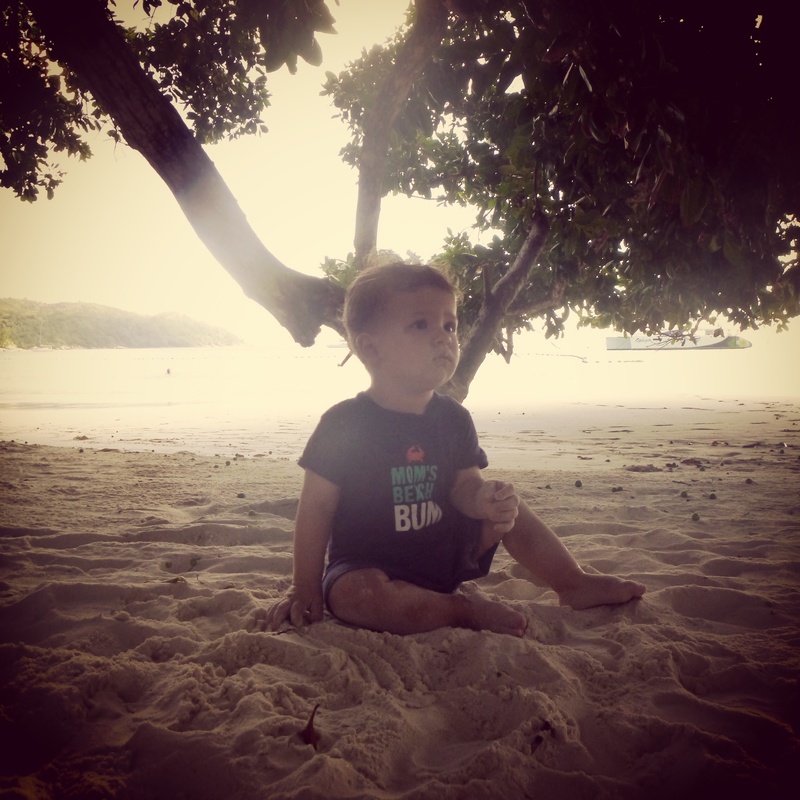 So as a proud owner of a 1 year old island baby I thought I’d reflect on some things that we do here that I’m pretty sure wouldn’t happen if we were in the UK. Firstly, Arthur spends most of the time in just a nappy. Way too hot and humid for anything else most of the time. As he’s getting a little older I am starting to throw on a little pair of lightweight shorts on him when he’s outside but generally that’s it! He’s pretty much a free range kid. Great weather and living in such a quiet place means that he really can just go outside as and when he desires, which, at the moment is ALL the time. 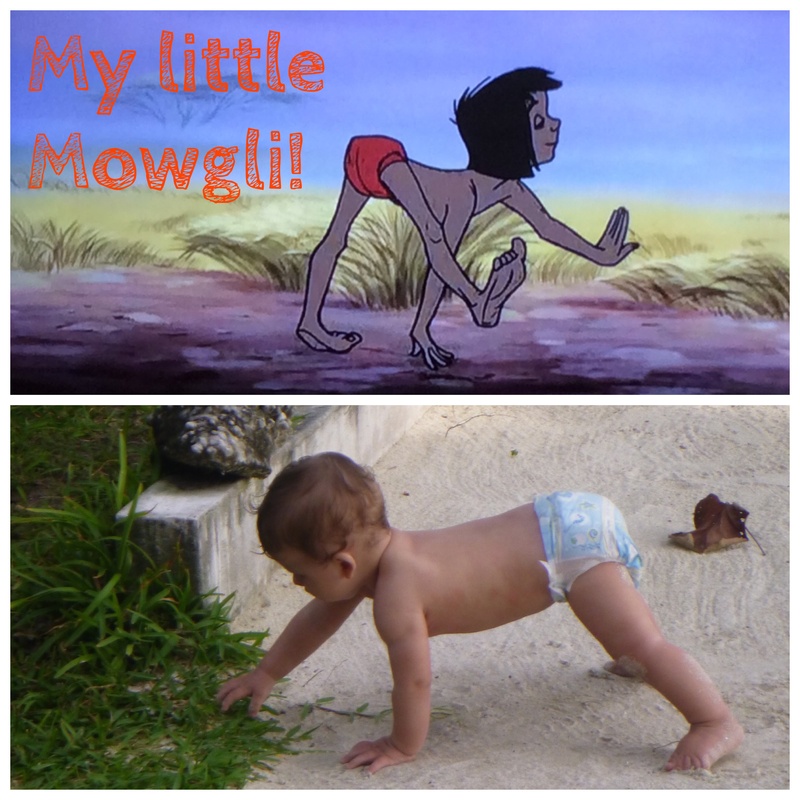 I always wanted a little baby like Mowgli from the jungle book and it turns out I’m getting just that!! There is no roof where we swim! When we swim it’s either in a hotel pool or in the Ocean. Always warm, always quiet! I would definitely have had to go back to work by now if we were in the UK. I’m actually not able to work here (visa stuff) and so I get to stay home with Arthur! A trip to the beach can happen in minutes, they are clean and quiet perfect for a toddling 1 year old! They also happen A LOT. We don’t really have any kids play areas or anything here but the beach can provide plenty of entertainment! We go for family walks round a World Heritage Site, the Vallee de Mai. Walking through an ancient palm forest is definitely not something we would be doing in the UK. So that’s some of the highlights of the things that Arthur does here that we wouldn’t doing we were in the UK, what’s the best stuff you get to do in your new home with your expat family?